Each month, Mouse holds an online competition through the Mouse Create digital learning platform that invites youth to get creative using web tools and media technology. BrainPOP and Mouse have partnered this month to hold a competition celebrating the Hour of Code and Computer Science Education Week! Mouse is happy to offer a free Mouse Create Spark Membership for new sites to participate in the competition. Mouse Create Spark members get access to two full courses and 30+ creative computing and STEM projects for students, digital badges, project discussion and collaboration tools, learning management and review and portfolio features. 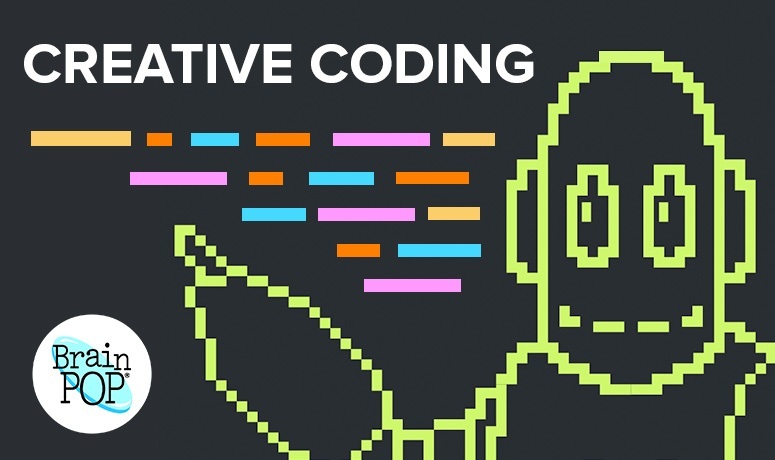 To participate in the BrainPOP Creative Coding Microproject Competition, educators must first sign up for a free Mouse Create Spark Membership or a Full Membership. After receiving their unique educator code, any educators from the site can use the code to register for Mouse Create. This Microproject Competition is the first item listed on the “Projects” page on Mouse Create. Students will follow the step-by-step directions listed on the project and submit a screenshot and an explanation of their Creative Coding project on the final step of the project page. The Microproject Competition will accept submissions until 6pm EST on December 9, 2018 on Mouse Create, or the end of Computer Science Education Week. Judges from Mouse and BrainPOP will review submissions and announce winners by December 15, 2018. Student winners will receive one of many potential prizes including gift cards to AdaFruit to purchase fun DIY electronics and learning kits, a Makey Makey Go, an Elegoo Arduino kit for beginners, and others to continue building their creativity and tech skills. The new Mouse site with the most submissions will receive a free Mouse Create Full Membership to access the full 150+ hands-on projects across 13 different courses. Mouse (www.mouse.org) empowers all youth and educators to engage with computer science and creative technology to solve real problems and make meaningful change in our world. Mouse is committed to fostering greater diversity and humanity in STEM and empower youth -- and all those that educate them -- to access and amplify technology as a force for good. Mouse Create is a learning platform to build, collaborate, and share through STEM and Creative Computing, with over 150 projects and 14 courses available. BrainPOP (www.brainpop.com) is an award-winning educational platform that engages students and supports teachers, with cross-curricular digital content and features from animated movies, coding projects, student creation and reflection tools, learning games, and interactive quizzes to customizable and playful assessments, lesson plans, professional development opportunities, and beyond.